The Club’s objective has been to preserve and restore antique equipment, and to promote the equipment through exhibitions and demonstrations that show the pioneer way of living. 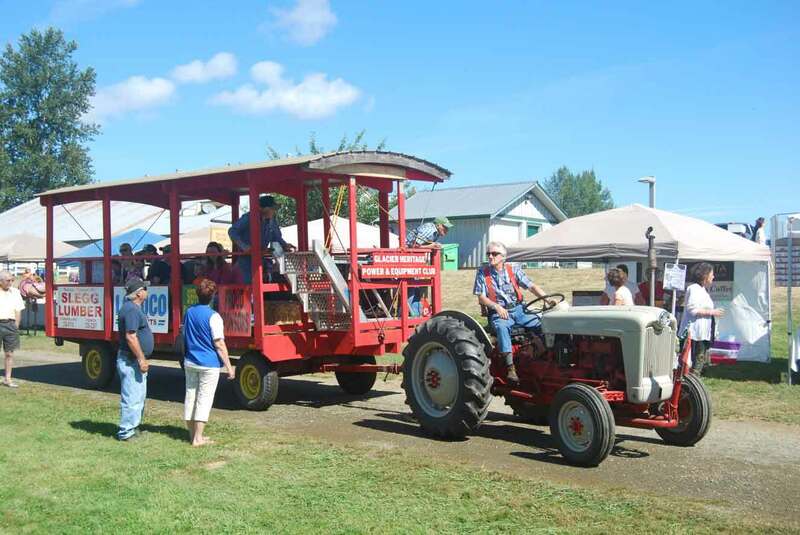 Demonstrations and displays have included grain threshing, grain grinding, tractor parades, many types of engines, old tools, an old-fashioned home, a garage, and a blacksmith shop. Our engine demonstrations and displays include flywheel engines that were once used for power before the days of electricity. They generated power for cream separators, water pumps and created general power for machine shop work. Other engine demos and displays include marine engines, antique out-boards, old trucks, and a wide assortment of antique tractors. What is a day at the farm without a hay ride! Hop on to get to your next destination or just relax and take in the sites of the Comox Valley Exhibition.